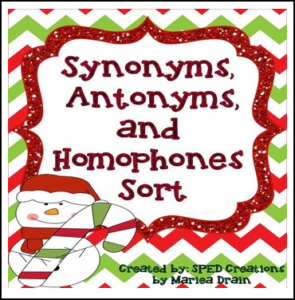 This winter-themed product contains 24 cards for sorting words that are synonyms, antonyms, or homophones. This product is a great activity for literacy centers or RTI/SPED intervention groups. *Note*This product can be printed in grayscale or black and white if you don’t wish to use color. Enjoy!